Thank you to all presenters, authors, committee members, volunteers, attendees, sponsors, and exhibitors who made ISPCE 2018 a success! Join us in 2019 in San Jose again for the 16th edition of ISPCE. 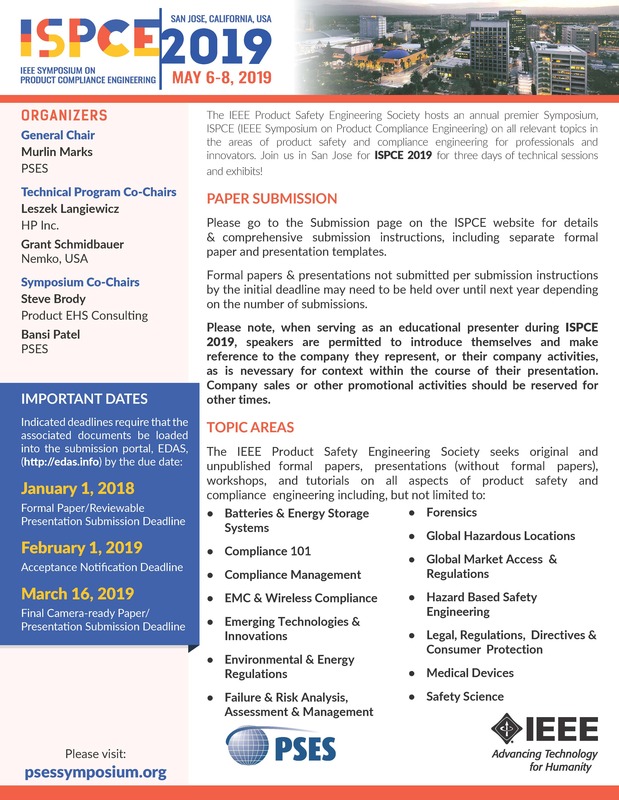 The IEEE Product Safety Engineering Society hosts a premier symposium annually on all relevant topics for workers and innovators in the product safety area. Join us in San Jose for ISPCE 2018 for three days of technical sessions and exhibits!